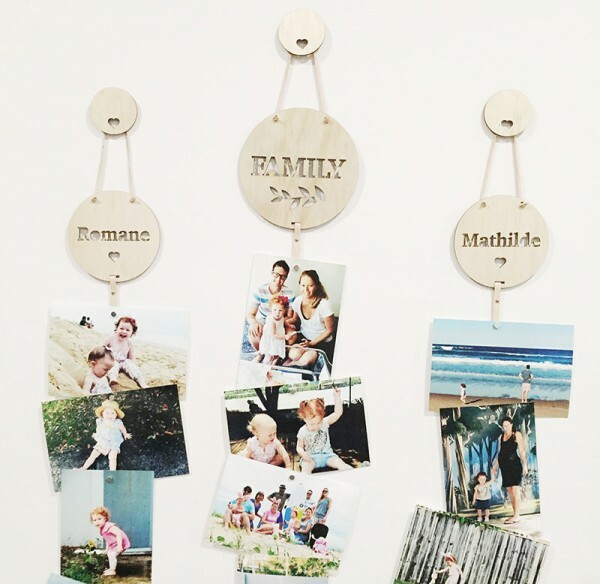 The perfect solution if you have no time or space for photo frames, or if you like to switch your favourite snaps out often, Memory Drops is for you! Hang your photo gallery Memory Drops style. Strung from a pretty plywood circle, a Kangaroo leather drop fits at least eight photos, secured with included magnets. Choose from Travel, Family, Love or Friends. 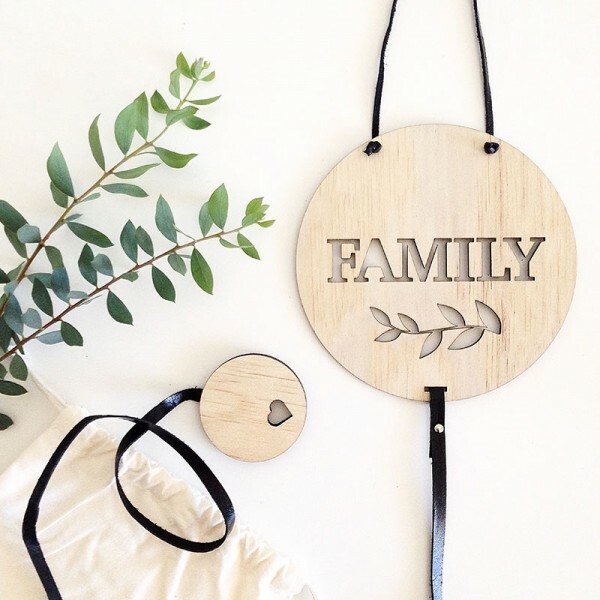 You can even have your very own custom wood circle created with your child’s name or wedding date – whatever takes your fancy. A fun, contemporary way to share your happy snaps, such awesomeness has left me thinking my photo frames are so 2015 and hankering to hang my pics! Memory Drops are priced from $59 and available direct from T-Leaf Collections.